In the past, people thought of virtual reality as a mere product of a sci-fi story. Today, VR is a reality among millions of households in the UK and around the world. Although it is a relatively new technology, it is becoming increasingly popular. Even children enjoy playing virtual reality games. You can let them play these games for them to receive these benefits. 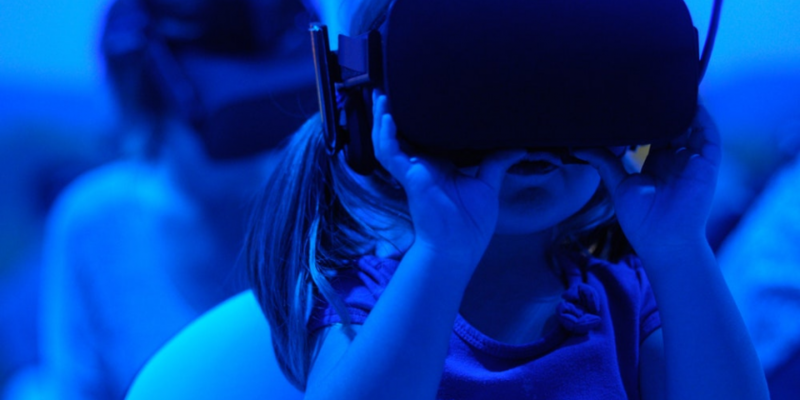 With the help of VR, children can improve their cognitive functioning. Their brain starts to indulge in the activities due to the constant simulation that they see using the device. As a result, they start performing better at school. They learn how to solve problems in math and other challenges. They learn how to improve their coordination skills. They also enhance their ability to memorise and concentrate. They do not easily get distracted. It is crucial for you to teach your kids to make the most of their time and multitask. With the help of VR technology, they can perform several activities at the same time. They need this skill to manage their time better as they grow up. The world will continually evolve, and things will be moving a lot faster than they do now. If your kids cannot multitask, they will be left behind the others. It is not easy asking kids to learn new things. They see something new and exciting all the time. Therefore, you cannot quickly ask them to focus only on one thing. As such, it helps if you introduce virtual reality educational games to them. They will then see learning as an interesting process. They appreciate colours and imagery. They will learn the meanings of words. They might even find math appealing. These things will not happen if you stick with traditional methods of learning. VR games require movement. Regardless of the nature of the game, your kids need to move around. They can only finish the tasks if they stand up and play. You can boost activity by choosing games that demand more movement. Virtual mazes, role-playing scenes and race games are among the best activities to enhance the physical skills of your children. Teaching your kids to behave well is a significant challenge. You cannot keep scolding them for misbehaving as it could adversely affect your relationship. If you want to teach good behaviour, you can introduce it through VR games. You can set ground rules to allow them to play. You can also teach them how to play the game with other kids. You could include consequences if they do not follow the instructions. These are some benefits children will receive if they play VR games. Of course, you need to control them while they play and set a limited time. You can check out the Huxley Virtual Reality game if you want your kids to start now. You will see the difference in your kids’ physical and mental attitudes after some time playing the game. Ways Virtual Reality Games Can Benefit Your Kids 0 out of 5 based on 0 ratings. 0 user reviews.